Rhino Mats Marbleized Tile Top anti-fatigue mats are a superior value with puncture resistance that far exceeds comparable rubber products by up to 90 percent. 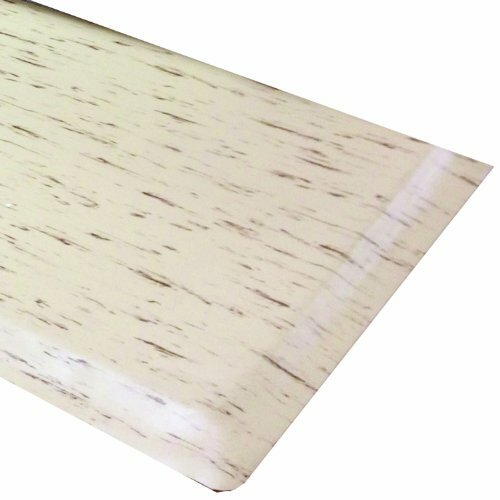 A marbleized tile floor matting that provides comfort for people who stand at counters, copiers and teller stations widely used by banks and office personnel. This product is constructed of a 3/32-inches heavy duty marbleized tile surface, permanently bonded to your choice of 3/8-inches or 3/4-inches resilient closed cell polymer sponge base. Available in tan color with beveled sides.